The year 2016 was simply very memorable and a very fulfilling year for the residents of Parañaque City, said Mayor Edwin L. Olivarez in his report to the people, giving emphasis of what have been accomplished and the direction of his administration come 2017 during last Monday’s hosting of flag raising ceremony held at the city hall in Parañaque City. 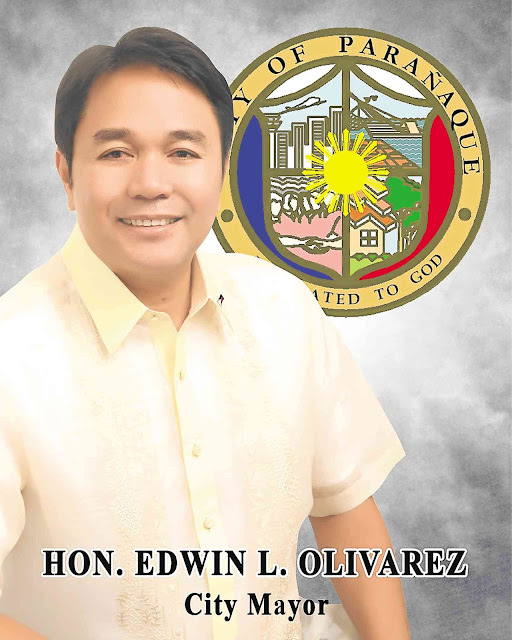 Olivarez said the first 3 years of his incumbency as city mayor beginning 2013 have been devoted to laying down the foundation of his government policies and the machinery that must carry them out for the attainment of his vision of sustained development under BAGONG PARAÑAQUE. Mayor Olivarez first cited the various macro and small enterprises that have indeed spurred the economic growth of the city which according to him, created jobs and livelihood opportunities to many of its citizens. He also made mention of the various integrated resorts now thriving at the investment district, the newest growth center popularly known as the Bay City. He said the city has continued to attain this upward trend and generated the needed revenues as more investors kept coming in to put up their businesses at the said area. Olivarez also pointed out the city’s allocation for its programs and projects which he said doubled from P3 billion in 2013 to P6.1 billion by 2017. At the education front, Mayor Olivarez reported that the city has actually envisioned to provide young students access to quality education, that is, to have at least 1 public elementary and secondary school in every barangay. He boasted that Parañaque now has 32 elementary schools and 16 high schools all over the city. Olivarez in his previous public pronouncements also committed to win the future of young generations and that higher education (tertiary) is among the steps to this end. As far as infrastructure is concerned, school building has become the main focus of his administration. According to him, the construction of Pamantasan ng Lungsod ng Parañaque in Kabihasnan, Brgy. San Dionisio is now underway and expected to be completed by 2019. The city has also provided technical and tertiary education for its young residents with the establishment of Parañaque City College that offers 6 months technical courses and the city-funded Parañaque campus of Polytechnic University of the Philippines (PUP) which offers diploma courses (bachelor’s degree) to provide them opportunity to land a better and high paying job in the future. Mayor Olivarez also cited among his accomplishments in 2016 the opportunities for housing and livelihood for the disadvantaged sectors of the society. He said one of his priorities is the safety of about 2000 or less poor families lined along danger areas such as Parañaque river and their immediate transfer to city’s own socialized housing at the relocation site also known as Rotary Homes in C5 Extension, Brgy. La Huerta, also in this city. He added, in just a year or so, he was able to relocate some 3000 poor families in a safer area in and off the city. Mayor Olivarez also announced that the city has been, for the past 4 years now, providing financial assistance and health services to about 30,000 senior citizens under the city’s OSCA-Care Program. Among the major undertakings that will characterize the year ahead according to Olivarez is the renovation of Ospital ng Parañaque, paving the way for the construction of another 6-storey extension building that will provide additional quality health services such as the provision of ICU , blood bank, therapy room for stroke patients, dialysis center and CT Scan among others. He added that the city has already negotiated the purchase of about 2000 sqm property located at the fast truck between Brgy. Moonwalk and Don Bosco to serve residents seeking medical attention in District 2. He said the city council has already approved the budget for its construction come 2018. Olivarez also made mention of the city’s plans to put up its own integrated command center to provide immediate and coordinated response to any emergency situations, such as floods, fires, crimes or vehicular accidents, at any given time. 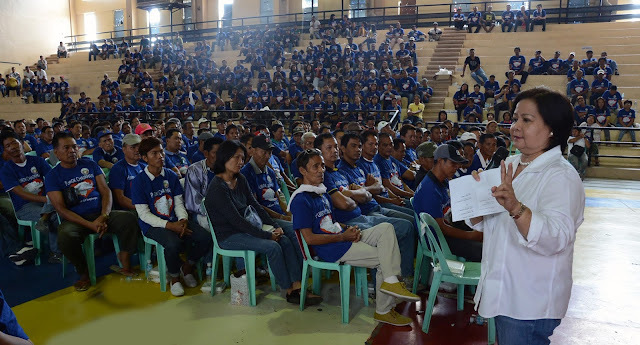 He added that CCTV’s will be installed in various intersections and main thoroughfares across 16 barangays. The city government, according to him, will also renovate its own Drug Rehabilitation Center; provide more manpower and resources for the police to boost the peace and order in the city. He added that in his second term, more assistance will be provided in terms of social protection. The city will start building its own Bahay Aruga for street children, Bahay Pag-asa for children in conflict with law, halfway homes for senior citizens, as well as women’s wellness by January 2017. 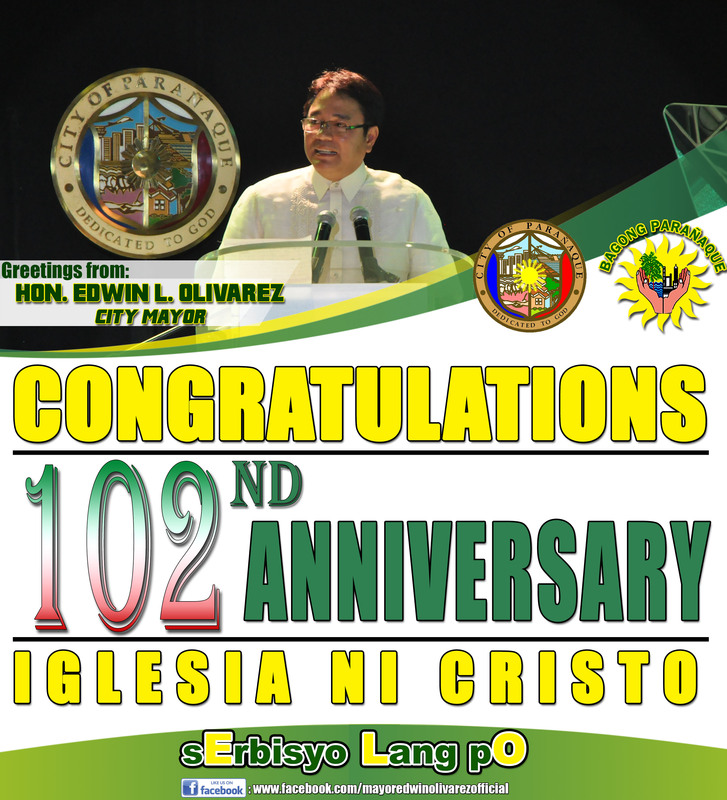 Mayor Olivarez, in his message, also praised the city officials and employees citing the broader role they played in making sure that services of this government are delivered promptly to the people. Meanwhile, During interview, Mar Jimenez, PIO Chief, when asked of his reaction regarding the astonishing economic recovery of the city proudly said, The simplest question is: Are we better off today than we were 4 years ago? Jimenez answered a resounding yes, saying that “not only are we better off, but better placed to take advantage of the opportunities that have opened during Olivarez term.” He said, thru his (Olivarez) leadership, we were able to set in motion the various programs that have enabled the city to overcome the difficulties, the opportunity that has so unjustly eluded them (Parañaque residents) in the past and just moved forward with faith in ourselves and faith in the rightness of our cause.